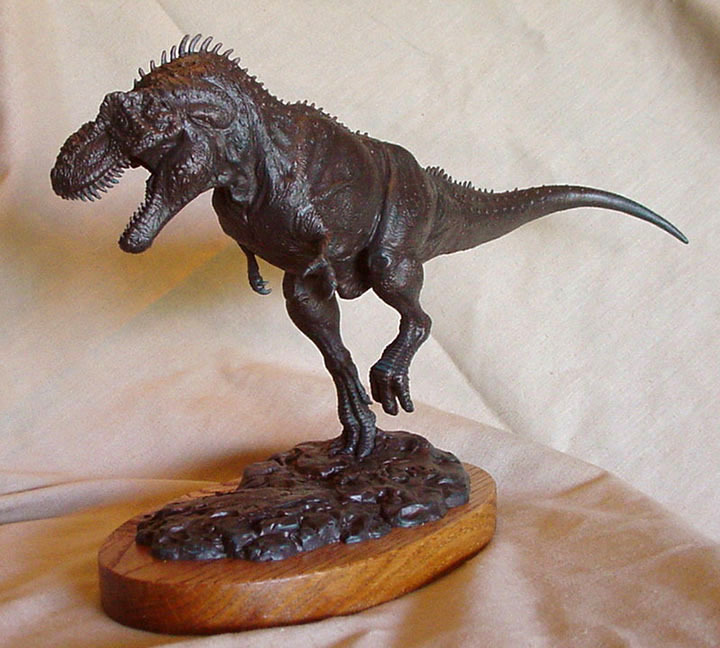 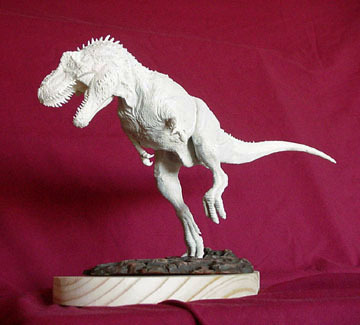 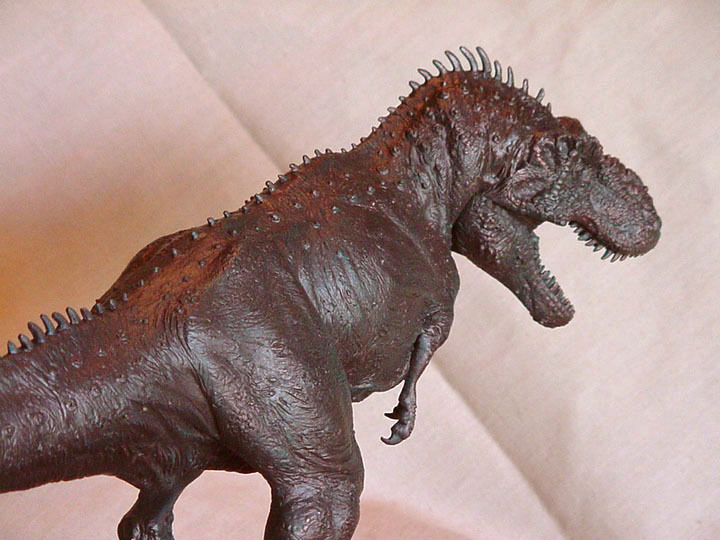 Tyrannosaurus rex, running pose: 1/30 scale, (15 inches in length). 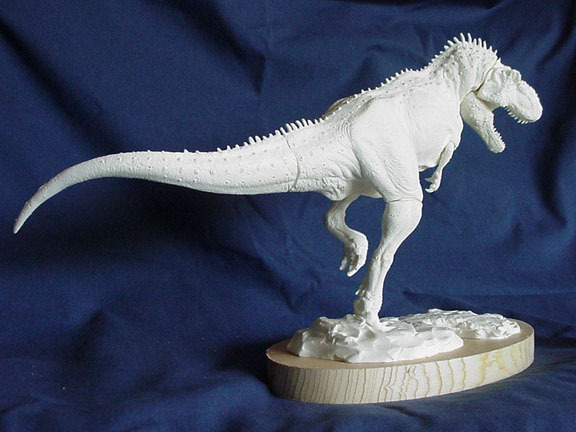 8 piece cast, body, head, lower jaw, tail, arms, and right leg separate.. 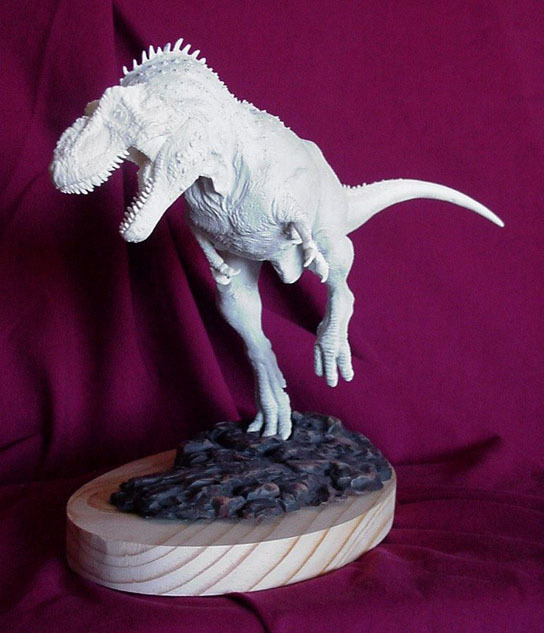 Included is a simulated terrain base with a marked footprint for easy positioning and an oval pine base for display.The model comes unpainted, easy to assemble. 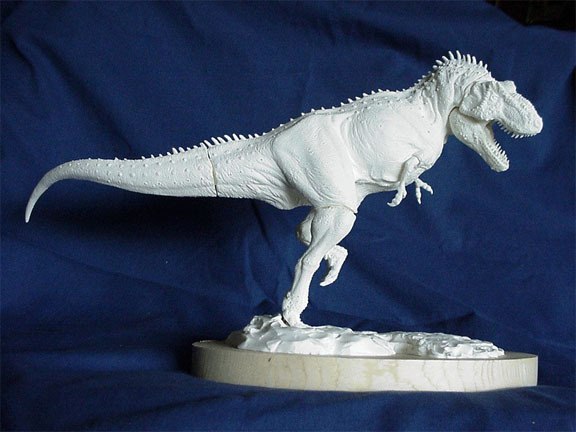 Some putty work and texturing is needed around the seams before being ready to paint. 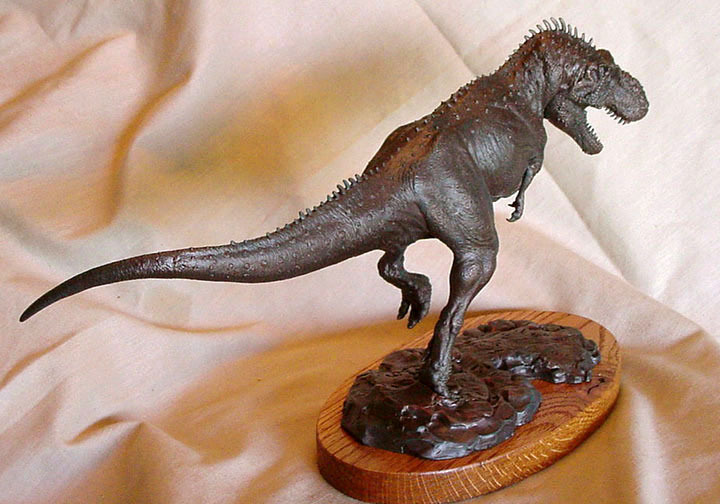 Tyrannosaurus rex cost $126.00 plus $10.50 for shipping and handlingwithin the U.S.